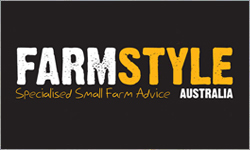 Supermarkets are fast embracing organics, with growth propelled by the average Australian. More than 1 in 20 are regular shoppers of organics and almost 2 in 3 have bought organic in the past year, a Report launched today reveals. 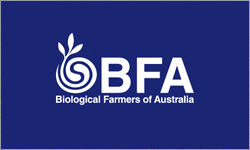 The biennial independent Australian Organic Market Report, commissioned by leading organic body Biological Farmers of Australia (BFA), incorporates research from Swinburne University, ABS statistics and world outlook information for the first time, as well as exclusive survey work by a specialist market research group. 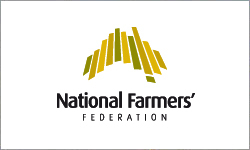 The National Farmers’ Federation (NFF) has today welcomed the release of the Federal Government’s Asian Century White Paper, which recognises the opportunity for Australian agriculture as an important supplier of high-value food to Asia in the years to come. 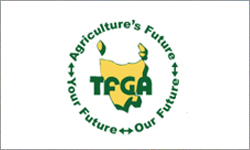 NFF President Jock Laurie said the recognition by the Government of the opportunity for agriculture in the Asian Century is a marked improvement on the earlier debate re the role Australia could play in the region. 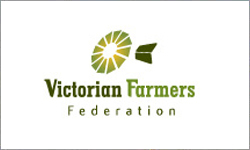 Fire safety is under the spotlight this harvest, with the Victorian Farmers Federation (VFF) Grains Group urging growers to put together a plan for summer. Minimal rain over spring has ensured reasonable fuel loads across the state, in particular throughout the Southern Mallee and Wimmera. The warning comes as fire fighters battled up to 40 bushfires across Queensland recently, and Victorians experiencing dry, windy weather over the last few days. Equitana in Australia is the most anticipated annual equine event of its kind in the Southern Hemisphere attracting over 50,000 visitors per event. 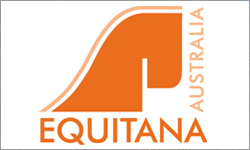 EQUITANA Melbourne will be four days of everything equine featuring horses, Olympic gold medallists, world renowned educators, aussie cowboys, an elite equine competition program and over 350 exhibitors making up the largest equine shopping spree in Australia. 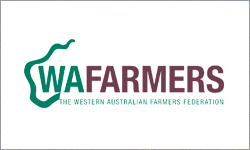 The Western Australian Farmers Federation (Inc.) (WAFarmers) welcomed the passage of the Federal Government’s Wheat Export Marketing Amendment Bill 2012, through the Lower House. The Bill is registered to repeal the Wheat Export Marketing Act 2008 by abolishing the Wheat Export Accreditation Scheme and the wheat export charge, winding up Wheat Export Australia (WEA) and removing the access test requirements for grain port terminal operators. 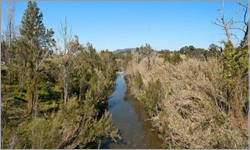 In an area renowned for its considerable lifestyle appeal and sweeping Allyn River and Torryburn views, this family-friendly, dual-dwelling property on 12.5ac with approximately 200m of Allyn River frontage will appeal to a variety of buyers. Ideal for horses, cattle or alpacas, the property is fully fenced and divided into 3 fertile river-flats paddocks each with water and significant shade trees. Known for its superior insulation qualities, the main home is besser-block with an iron roof. There are four bedrooms; the queen-size Master with built-in robe, reverse-cycle air-con and glass sliding doors to the garden. Life has changed considerably since those days when weekends were king. Some of you may recall the days of Friday night shopping on the north west coast, where you sauntered down Wilson Street in Burnie, dressed in your finery, and had to get provisions in by 9 pm or either wait until Monday or drive to Launceston where there was Saturday morning shopping. Even that was only for some shops and only until 12 noon. 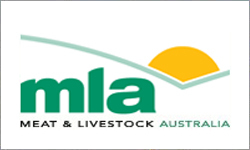 NSW Farmers expressed disappointment today that the oversight body for the wheat market, Wheat Export Australia, would be abolished. Its comments came after the Gillard Government’s Wheat Export Marketing Amendment Bill 2012 passed the Lower House last night. 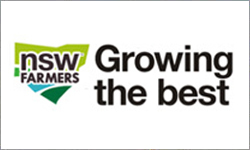 NSW Farmers President Fiona Simson said the move to a fully deregulated wheat market in Australia and the abolition of Wheat Export Australia meant there would be no independent umpire for Australian growers. 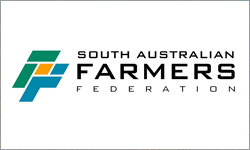 The South Australian Famers Federation (SAFF) Livestock Industry Committee joins with other farmer organisations and livestock agents to oppose the mandatory use of RFID tags in sheep in Australia. The latest Standing Council on Primary Industries (SCoPI) communique from 26th October 2012 states that "there are no insurmountable barriers for a phased implementation of an electronic NLIS for sheep and goats, but that implementation would require substantial investment of resources and funding which governments and industry will work to identify". AT the Queensland Government’s direction, the Queensland Competition Authority (QCA) has begun investigations into electricity prices for the next three years. The QCA must focus particularly on energy and retail costs as the network costs of delivering electricity is regulated nationally. 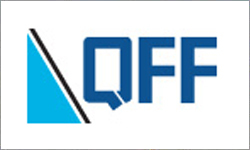 QFF has recently made a submission to these investigations which continues to advocate the need for an irrigation tariff which would encourage energy and water use efficiencies on farm. 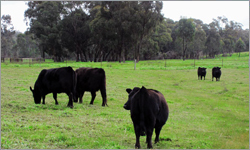 Tariff reforms proposed by QCA earlier in the year recommended that a number of tariffs currently in use by farmers be made obsolete or significantly changed. Tarali Lodge Dexters, award winning in the show ring and open carcase class including: Highest Scoring Pure Bred Carcase in Light Domestic Class Reserve Champion Unled Carcase (52 entries of all breeds) Champion Dexter Heifer at National Beef 2011. 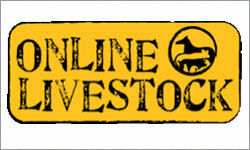 Early maturing, tasty tender beef, all stock PHA free, halter broken, some polled bloodlines available. 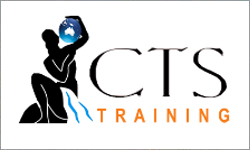 Personal development training can foster confidence and improve many of the skills used in every day activities. From communications to goal setting and time management, we can all become more effective in our work and relationships. Ppersonal development training programs will help your employees and managers to become more effective and successful.